The MLA Research Training Institute for Health Sciences Librarians (RTI) was designed for you! 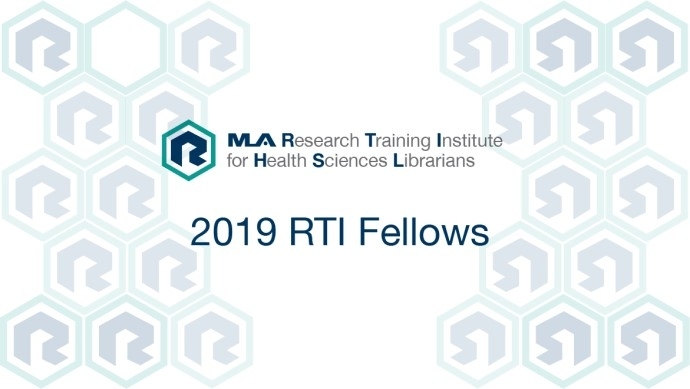 We are accepting applications from August 30, 2018, to December 1, 2018, for our 2019 cohort of RTI Fellows. Please follow links to the application instructions and the online application form. What does the 2019 Research Training Institute (RTI) offer me? When and where is the RTI held? The heart of the RTI is a weeklong, residential, immersive workshop held in Chicago, July 15–19, 2019. Yes! The institute offers numerous scholarship opportunities. Many of the twenty open slots for the institute are supported by either full or partial scholarships. How can I learn more about the RTI? For detailed information about the project—including fees, benefits, and housing information—see the RTI website. Please visit the RTI website for more information, including fees and RTI applicant information. Please check the Frequently Asked Questions (FAQ). For questions regarding the institute, application process, or scholarships, please contact the project director, Susan Lessick, AHIP, FMLA.